Nuria Barros is since September 2017 Business and Strategic Relations Officer at INL focusing on the preparation and coordination of H2020 projects. She has broad experience designing and writing project proposals for universities, research centres and SMEs under the European Commission programmes Horizon 2020 and Interreg. She started her career at the International Relations Office of a university coordinating the ERASMUS+ programme and managing the European bilateral agreements, worked for private companies in the UK in the education and marketing sector, and for EU funding consulting companies in Belgium and Spain. She is also an evaluator for the European Commission. At INL she is responsible for activities such providing advice to researchers on innovation funding schemes, preparing H2020 proposals, coordinating international projects and business development. 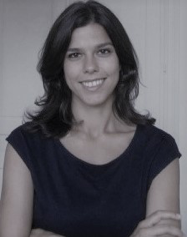 Nuria Barros holds an International Master in European Studies from the Institute of European Studies of the University of Louvain (Belgium) and a University Degree in Translation and Interpretation from the University of Vigo (Spain).